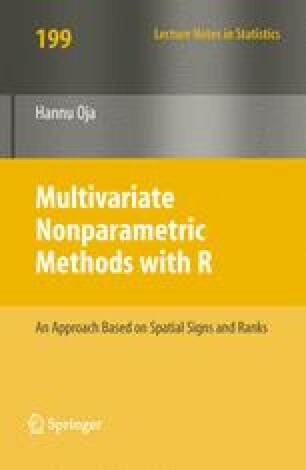 In this chapter, we introducemultivariate location and scatter functionals, M(F) and S(F), which can be used to describe the multivariate distribution. The sample versions of the functionals, M(Y) and S(Y), respectively, can then often be used to estimate the population parameters μ and Σ in the semiparametric models introduced in Chapter 2. Some general properties and the use of the sample statistics are discussed.